The O’Connor Band’s very first performance took place at the legendary Walnut Valley Festival in Winfield, Kansas in 2015. 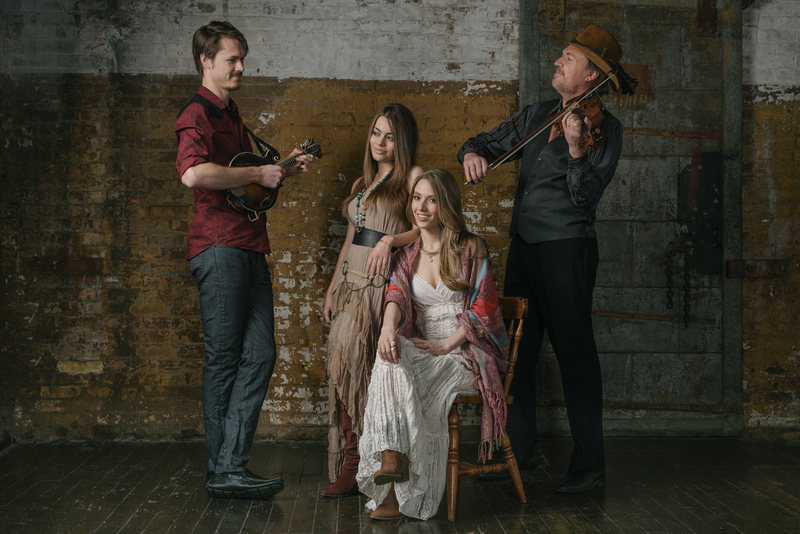 In 2017 – less than a year and a half later – they took home the GRAMMY Award for Best Bluegrass Album for their debut recording, Coming Home. In a whirlwind 18 months, the band has also performed at the GRAMMY Awards Premiere Ceremony, received standing ovations at the Grand Ole Opry, reached the No. 1 spot on Billboard’s Top Bluegrass Albums chart, and partnered with powerhouse booking agency William Morris Endeavor Entertainment (WME). 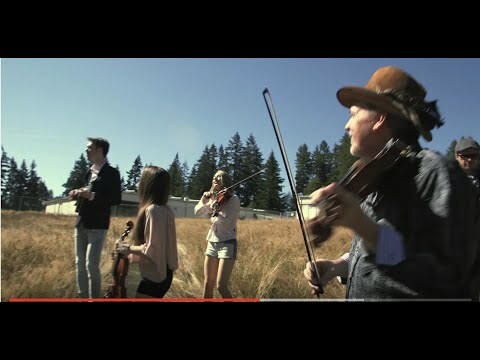 They have put together a show unlike any other, one that blends country and pop sensibilities with Americana rawness, bluegrass drive, and chamber music sophistication, one that has begun winning over audiences at festivals (AmericanaFest, GreyFox, IBMA, RockyGrass), clubs (Jazz Alley, Dakota Jazz Club), and the world’s premier theaters (Arlene Schnitzer Concert Hall, Glasgow Royal Concert Hall, Schermerhorn Symphony Center). Their recently released sophomore album, O’Connor Band Live!, is a stunning showcase of their most exciting concert material to date. Recorded in Sellersville, Pennsylvania, in late 2016, the album captures the band on the heels of a packed summer festival schedule, during which they had honed their sound and risen to an even higher level of cohesion, power, and expressiveness than before. All six band members possess charisma that, when combined onstage, ensnares audiences from start to finish. All are masters of their instruments, all improvise as readily as they play parts in counterpoint, all can sing, and all move about the stage in a free but gripping choreography. Kate’s beautiful and powerful voice belies her age. Forrest’s songwriting is at once poetic and accessible. Maggie’s violin playing blends effortlessly with her husband’s, so much so that, at times, the two sound like one player. Joe rips solos on the acoustic guitar as though he were playing electric. Geoff arcos high as commandingly as he grooves low. And Mark, of course, does things on the fiddle that has Paganini turning in his grave. 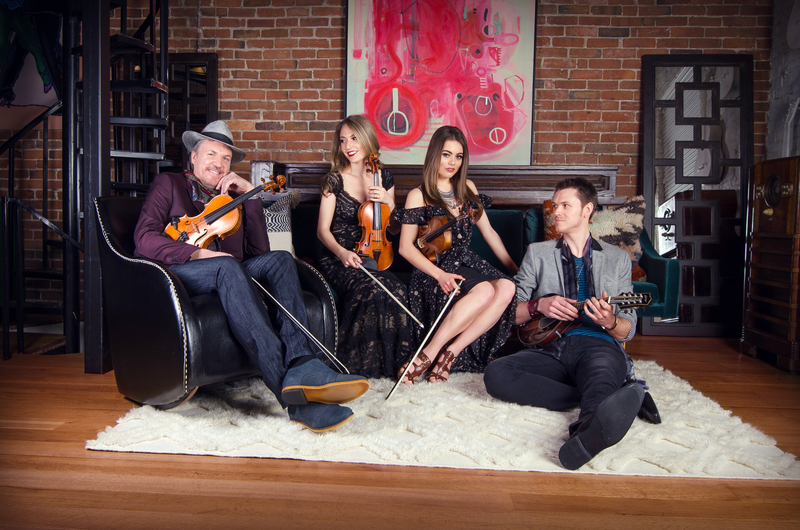 The Grammy Award-winning O’Connor Band, featuring seven-time CMA Award-winning fiddler/violinist Mark O’Connor, will release their first live album on June 7 via OMAC Records. 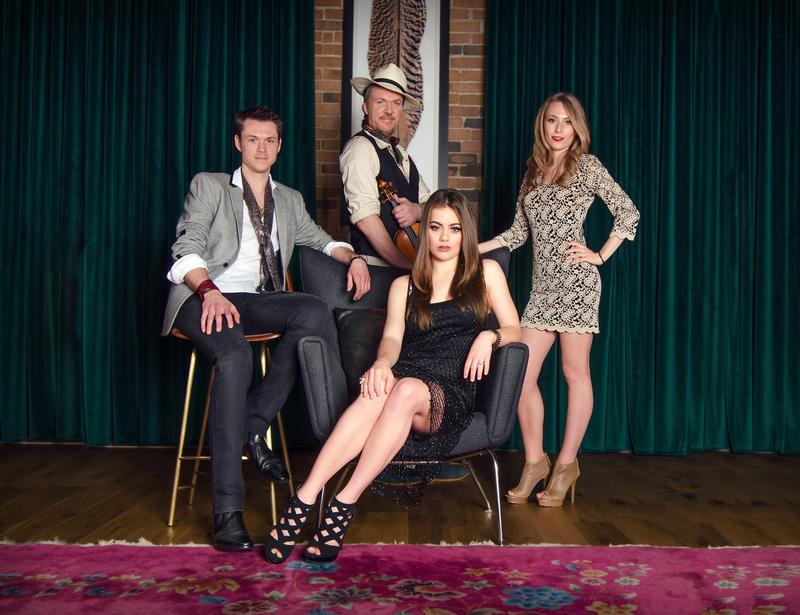 This is the first record the band has released since their full-length debut, Coming Home, which won a Grammy Award for “Best Bluegrass Album” earlier this year. 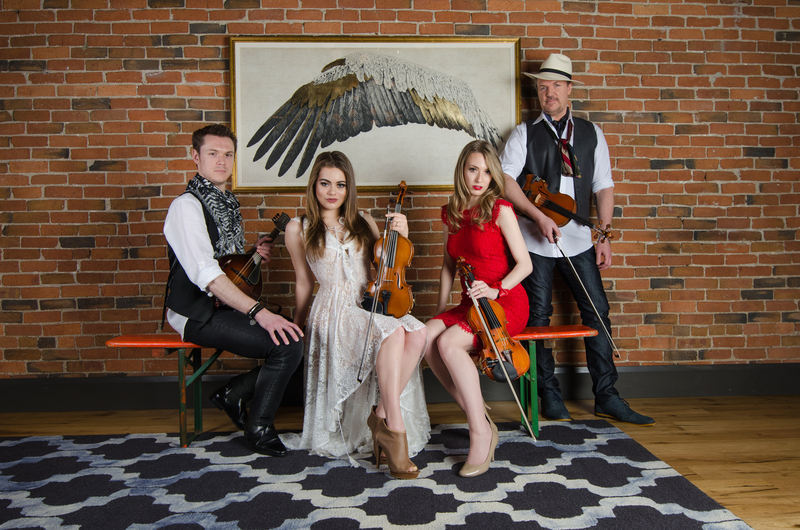 The band features three of Mark’s family members – his wife Maggie (violin/vocals), son Forrest (mandolin/vocals), and daughter-in-law Kate (violin/vocals) – in addition to guitarist Joe Smart and bassist Geoff Saunders. 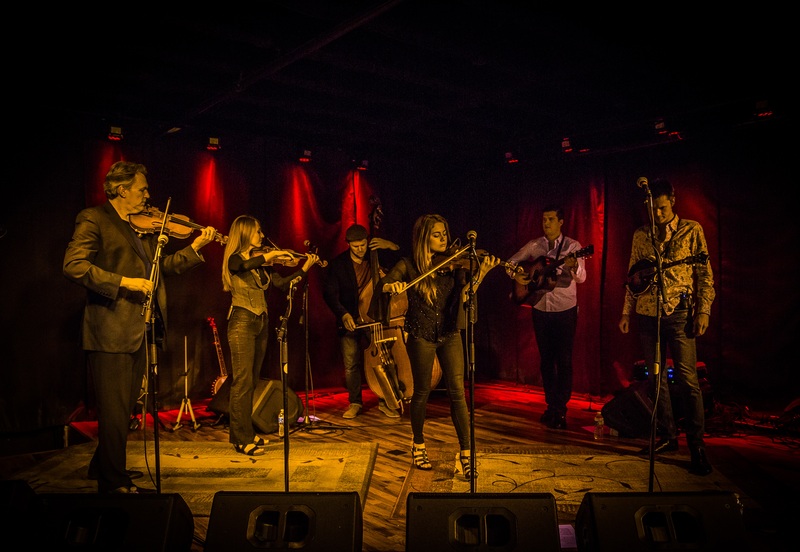 Critics throughout the industry have praised the O’Connor Band’s virtuosity, compelling songwriting, intricate arrangements, and dynamic and charismatic live performances, and the band has quickly risen to become one of the foremost groups in the Americana/bluegrass scene. Shortly after winning their first Grammy Award, the band was signed by premier booking agency William Morris Endeavor Entertainment (WME) at the behest of WME’s co-head, Greg Oswald, who dubbed the band “incomparable.” Nashville-based agents Matt Malcolm and Doug Neff will oversee bookings for the group. 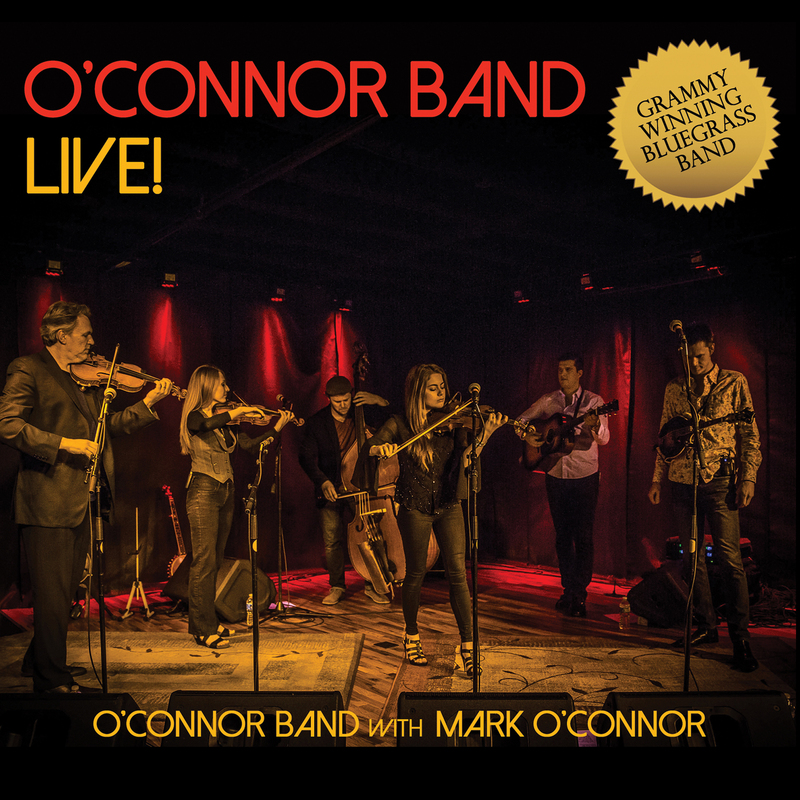 After debuting in fall 2015, it didn’t take long for the O’Connor Band to achieve a world-class level of artistry, tightness, and energy, which are featured in full force on their new live album. “A 14-track live album, featuring the most exciting music from our concerts this year, was an absolute ‘must’ for us to release, because many fans have seen how special this group is on stage,” says Mark O’Connor. The “no-holds-barred, jam-band energy recording,” as he calls it, took place in a single engagement at the historical Sellersville Theater in Pennsylvania. O’Connor believes the sparkle of the live album is a result of both the band’s unusually diverse set of talents as well as the history behind much of the repertoire performed. Last year, O’Connor was inspired by Joe Smart, the band’s primary guitarist, to pick up the six-string bluegrass guitar again. Both O’Connor and Smart are former national flat-pick guitar champions, and both showcase their champion chops on the album. 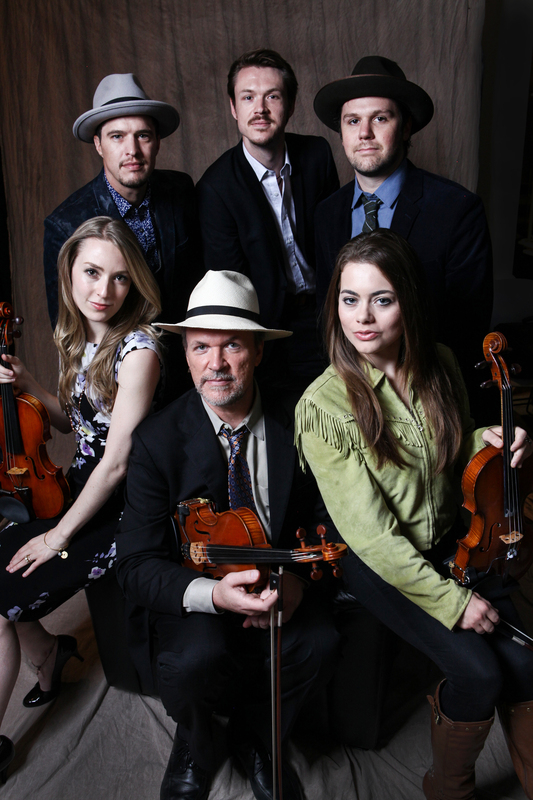 Additional highlights on the album include Mark’s emotional string quartet adaptation of Bill Monroe’s “Blue Moon of Kentucky,” which features the band’s three fiddlers along with Saunders on arco bass; a rendition of the old spiritual, “Swing Low, Sweet Chariot,” anchored by Mark and Maggie’s soulful, virtuosic fiddling and six-piece a cappella singing; Bob Wills’ signature classic, “Faded Love,” highlighted by gorgeous double-stop fiddle work and “Kate channeling Patsy Cline,” according to O’Connor; and a wild, up-tempo, “bluegrass rap” performance of Chuck Berry’s “Johnny B. Goode” – an arrangement that has earned the band multiple standing ovations at the Grand Ole Opry over the last year. The O’Connor Band is touring throughout 2017 to promote their new album at major concert halls around the country, including the Arlene Schnitzer Concert Hall, the Blumenthal Performing Arts Center, the Schermerhorn Symphony Center, and the University of Washington’s Meany Hall. 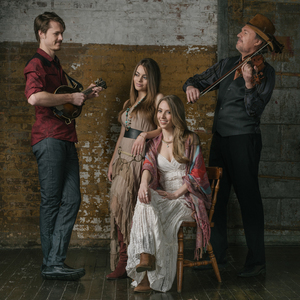 They will also headline at several venerable nightclubs (Jazz Alley, City Winery, The Dakota) as well as a number of major summer festivals, among them the Pagosa Folk’n Bluegrass Festival, Bristol Rhythm and Roots Festival, L.L. Bean Summer Concert Series, Lowell Summer Music Series, Grey Fox Bluegrass Festival, and IBMA’s Wide Open Bluegrass. 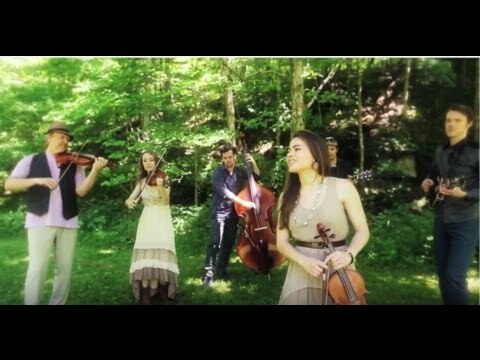 The group looks forward to teaching at the O’Connor Method Camp in New York City from July 31-August 4, and they anticipate another packed schedule for their sixth annual An Appalachian Christmas tour this December. They are also contemplating another studio album featuring new material in the near future. For more information on the O’Connor Band, visit www.oconnorband.com. For more information on Mark O’Connor, visit www.markoconnor.com. For press interviews by Mark and band members, please contact Fiona Zwieb at fiona@fionazwieb.com, 917-683-2750. Release Title: O'Connor Band Live!